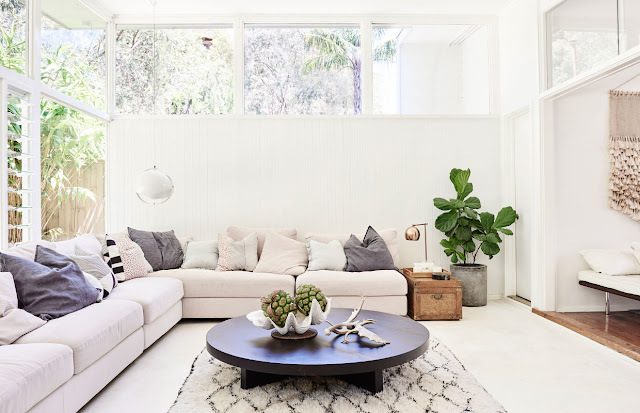 What’s not to love in this family home in Australia... :) Very welcoming, bright, confortable, boho chic touch that we like, vintage furniture... 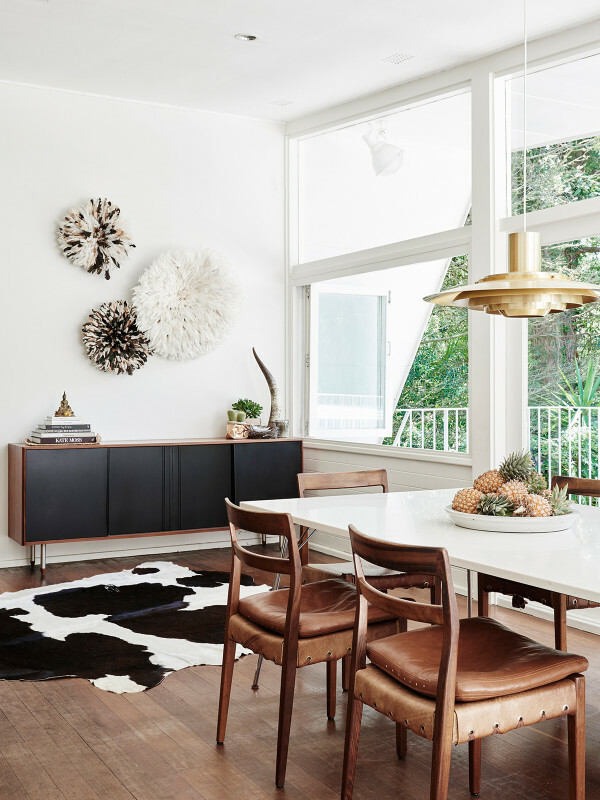 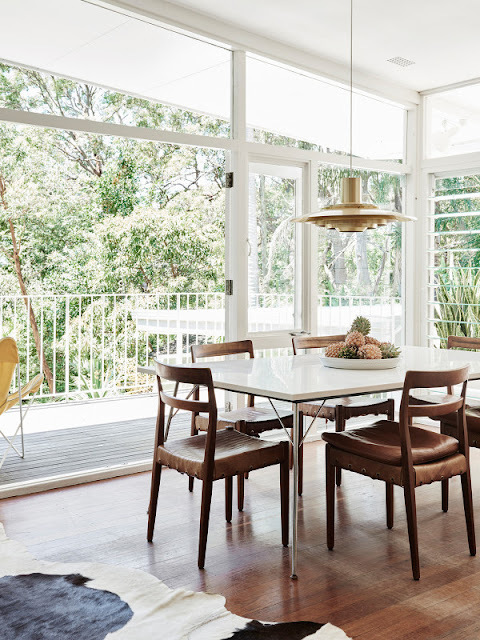 This wonderful mid century home on Sydney’s Northern Beaches belongs to retailer Louise Bell of Table Tonic, and her partner, architect Graeme Bell. 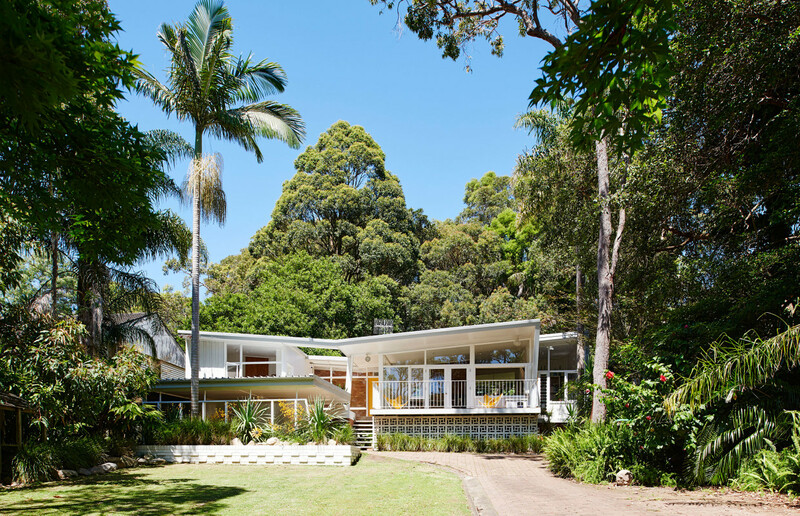 In fact, the house was built in 1957, designed by Australian architect Loyal Alexander for his own family. 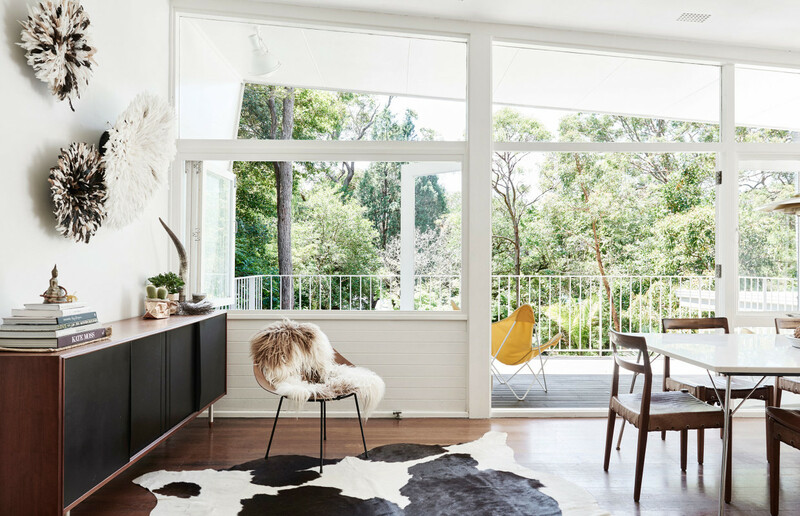 The project turned heads even then, first featuring in the August 1958 issue of Australian House and Garden Magazine! 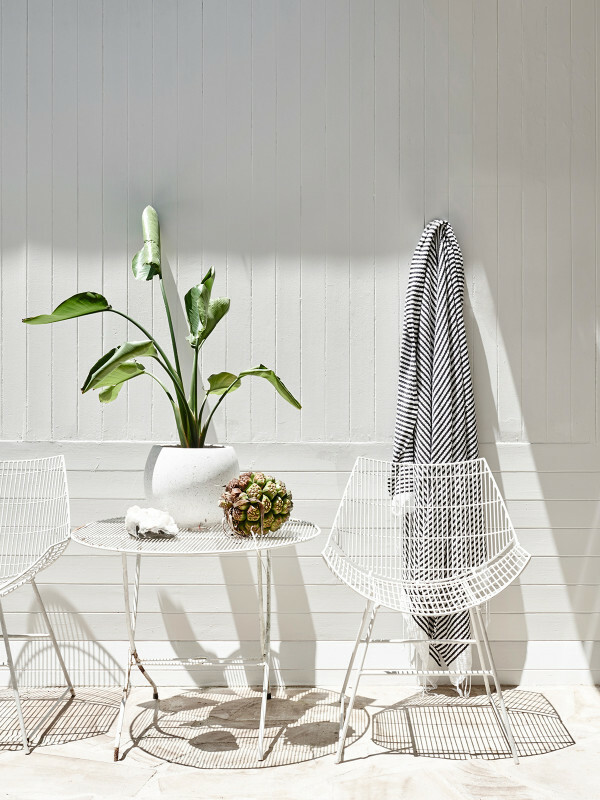 Ambiance folk-vintage et esprit soleil !